Durban – A team of four South African sprinters have arrived in Racice, Czech Republic for the 2017 ICF Canoe Sprint World Championships getting underway on Thursday until Sunday. There was no sprint world championships in 2016 due to the Olympic Games in Rio de Janeiro but there are a few campaigners from South Africa’s world championships efforts in Milan, Italy in 2015. Leading the team is 2015 World Championships participant Esti van Tonder. 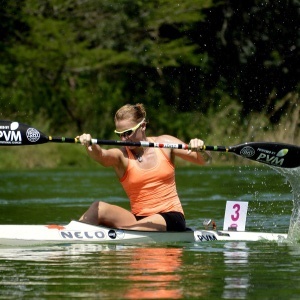 The Pretoria based racer will be taking part in both the K1 200m and the K1 500m races with her heats on Thursday and Friday morning. Cape-based Chrisjan Coetzee is the other paddler with experience from the 2015 world championships and will be focusing specifically on the 200m K1 race at this years’ international showpiece. The two other members of the squad are no strangers to competing for South Africa but will get their first taste of a senior sprint world championships. Surfski ace Sean Rice will be doing battle in the longer distance events, namely the 1000m K1 and the 5000m K1. The latter event sees over 30 paddlers lining up for a one-time shot at glory as opposed to other events that require heats, semi-finals and then a final. Young Stuart Bristow will be making his senior sprint world championships debut in the Czech Republic this weekend. Bristow has been through the ranks having taken part in both the 2015 and 2016 Junior and U23 World Championships. Bristow will have his work cut out for him as he takes aim at the 500m K1 men’s heats on Friday. This race will be his sole focus during the world championships.